Home » What is community sponsorship? Governments and societies around the world are under sustained and increasing pressure to address one of the greatest challenges of our times: providing protection and assistance to the rising number of people displaced across the globe. Worldwide displacement from war, conflict, and persecution is at the highest level ever recorded by the UNHCR, and it continues to accelerate. More than 65 million people are now forcibly displaced – including more than 22 million refugees. While Australia has one of the most generous voluntary resettlement programs in the world both in per capita terms and in overall numbers, the number of resettlement places available for refugees around the world is grossly inadequate to respond to the need. In 2017 UNHCR forecasted that resettlement would be available to only 93,200 people, less than 0.5% of all refugees globally, and only 8% of the refugees identified by UNHCR as in greatest need of resettlement. As a result, the responsibility for the vast majority of the world’s refugees is currently borne by less wealthy nations of the world – typically those most proximate to refugee-producing countries. United Nations declarations and expert bodies are calling upon states to encourage the engagement of new stakeholders in responding to the challenge of forced migration, including private individuals and organisations. The concept of community sponsorship contemplates ordinary individuals or community groups pulling together the funds and other resources needed to support a refugee or refugee family settling within their community. This typically involves raising funds to cover flights and initial settlement expenses, as well as income support for the first 12 months after arrival. 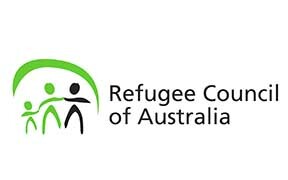 We support the efforts made by successive Australian governments in developing small programs which in theory allow members of the Australian community to sponsor the resettlement of refugees, including the Community Proposal Pilot (now discontinued) and the soon to be launched Community Support Program (CSP). However, the new CSP has a number of features which inhibit its potential to expand Australia’s national response in a meaningful manner (while also ensuring fair and humanitarian outcomes) and also prevent it from capitalising on the positive integration benefits that community sponsorship of refugees can bring. We must see genuine collaboration with interested groups within the Australian community to develop a world-renown community sponsorship program. In doing so, Australia could enhance its humanitarian response to forced migration significantly and in a way which would facilitate the efficient and deep integration of refugees into the Australian community at minimal cost to the Australian tax payer. Want to know more? Read about our solution.